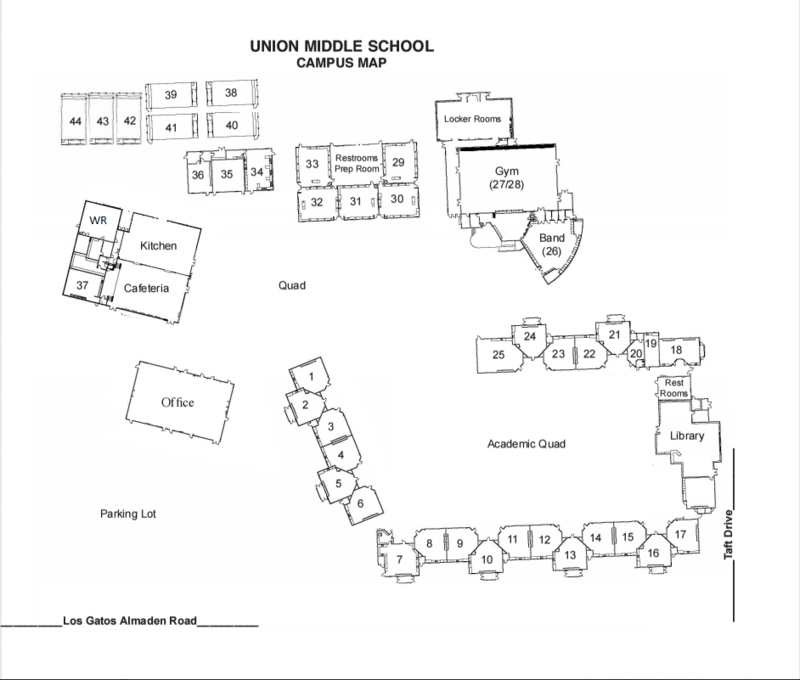 Hello UMS Families - At Union Middle School, we offer GATE Extension Opportunities to our middle school students who have been designated as GATE at their elementary school during 4th or 5th grade. Our GATE students have priority entrance into the below clubs at UMS. However, knowing that many students are interested in expanding their learning, we try our best to accommodate all UMS students into these extension opportunities. If you would like for your student to attend, please encourage them to show up for the specific activity. Continuing on the change we made for last year, we will have two Math Clubs at Union Middle School for 2017-18. On September 19th at 3 pm in the cafeteria, all students interested in participating in one of our two math clubs will take a placement test. The 25 top scoring students on this test will have the option to participate in a competition based Math Challenge Team led by Mrs. Shaw in room 10. All other students will participate in a Math Challenge Club led by Mrs. D’Apuzzo in room 41. Both clubs will focus on an array of activities in advanced problem solving skills. The curriculum for the program focuses primarily on “Math Counts,” a nationwide math competition for middle and high school students, as well as American Mathematics Competition, California League of Mathematics, and Math Olympiad for the Math Challenge Team. More information regarding Math Counts can be found at www.mathcounts.org. The Math Challenge Team led by Mrs. Shaw will compete in local and state math competitions, face-to-face with other schools. We are very proud of all of our “mathletes.” Congratulations to UMS for continuing to receive the highest honors of Gold and Silver Levels in MathCounts competition each and every year. Math Challenge Team/Club is open to all interested students in grades 6-8, but our GATE students have priority entrance. The placement test for entrance onto the Math Challenge Team begins September 19th in the cafeteria at 3 pm – 4:30pm. Please encourage your student to attend. Parent volunteers and “snack providers” are needed and much appreciated. Contact Ms. Shaw for more information: shawB@unionsd.org. Your child is eligible to apply to be a member of Mouse Squad, an exciting state-wide program that delivers core technology training and certification to middle and high school students. Under the direction of our media and technology specialist, Mrs. Adams and sixth-grade teacher, Mrs. Peers, UMS’s Mouse Squad has become a national model. The program harnesses student knowledge to operate a Student-Run Help Desk to provide valuable technical support for UMS teachers. For additional information about the Mouse Squad curriculum, log onto: www.mousesquad.org. Mouse Squad participants take on a leadership role in the school and are able to participate in state-wide conferences and trainings. Mouse Squad meets most Thursdays in the library and other times as arranged. To express an interest, please attend the next Mouse Squad meeting on Thursday in the library. For questions, contact Ms. Adams at adamsj@unionsd.org or Mrs. Peers at peerss@unionsd.org. CJSF or California Junior Scholarship Federation, is a statewide organization founded for the purpose of fostering high standards of scholarship, service, and citizenship in the middle school grades. CJSF emphasizes service to the school and the community while creating pride in scholastic achievement. Its motto is Scholarship for Service. Seventh and eighth grade students who qualify with the appropriate grades are eligible. Students who qualify for 3 or more semesters will graduate with Honors. They receive a CJSF gold pin, a certificate with gold seal, and they will be accepted as an Associate Member in CSF (the high school CJSF program). Additional information on the CJSF program is provided during our morning announcements. All GATE students are strongly encouraged to participate in CJSF. Due to Mrs. Malatesta’s leave, we will be suspending our STEAM club until 2nd semester. Our STEAM Club was created to provide current or past PLTW students an opportunity to extend their learning outside of the school day. GATE students currently enrolled in PLTW are strongly encouraged to attend. In the STEAM after school club, students will design and test their ideas with advanced modeling software, study mechanical and computer control systems, and create digital animations. Student may also explore electricity and how it relates to the world around them. Students may have additional time to work toward designing and creating all things robotics. UMS Reads is a school-wide book club. It’s a potluck supper, followed by table discussions, whole group share out, and a few student-led activities. This year’s books will be Hidden Figures, A Dog’s Purpose, classroom edition of The Martian, and Boxers & Saints. All students are invited and encouraged to attend. Students are expected to have read the book prior to the UMS Reads event.